Hearing T is for Training host Maurice Coleman unexpectedly and creatively expand the definition of augmented reality during a discussion on the show earlier today made me realize, once again, how inadequately our language and nomenclature represents our quickly- and ever-evolving training-teaching-learning world. As Maurice, Jill Hurst-Wahl, and I were talking about the intersection of lifelong learning and individual learning events, I was describing the wonderful experiences I had as a trainer-teacher-learner attending the LearniT! Technology Adoption Summit here in San Francisco earlier this week. What I was describing to Maurice and Jill was how LearniT! Vice President of Professional Development Jennifer Albrecht had, in her sessions, very creatively used every inch of the learning space and had, in providing a steady stream of additional resources, inspired me to pull out my tablet a couple of times, log into our local library’s online catalog, and place reserves on those books so I could continue my learning after leaving the classroom. 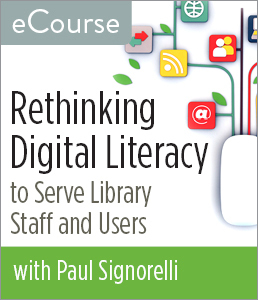 And that’s when Maurice made the connection: by expanding the classroom, in the moment, by connecting it virtually to the library, I was augmenting the experience in a significant way that further extended the learning as well as the learning space. Most of us familiar and intrigued with current definitions of augmented reality would, up to that moment, have envisioned the term as referring to overlays on a computer, or mobile-device, or wearable technology screen that provide additional information about an environment we’re visiting or studying. But I think Maurice was spot on with his observation: using my tablet to augment Jennifer’s list of resources by accessing them through a library catalog is no less significant than what we have, up to this moment, pictured when discussing and exploring the concept. And I could just as easily have augmented that particular learning reality by using the same tablet to find ebook versions of those works and downloading them immediately. Engaging in this augmentation of a definition of augmented reality made me realize how inadequately the term itself reflects the levels of augmentation we already are taking for granted. It also made me return to other situations where commonly-used terms no longer adequately suggest the nuances of what those terms suggest. 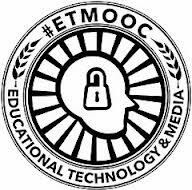 The term mobile learning, for example, suggests the (often-wretched) formal-learning modules that allow us to continue our learning asynchronously on mobile devices rather than having to be in a physical classroom or other learning space. But many of us have come to acknowledge that those formal-learning modules are only a small part of a much larger mobile-learning landscape that includes a wide range of possibilities. Mobile learning can include just-in-time learning that is no more challenging than using a mobile device to find an online article, video (e.g., a TED talk), or other resource that quickly fills the learning gap. It can include participation in a Google Hangout via mobile devices. It can include exchanges between onsite and online colleagues reacting to learning opportunities in conference settings. It can include an informal exchange of information between us as learners and a colleague, mentor, or other learning facilitator who teaches us something via a mobile phone or tablet at the moment when we need that level of “mobile learning”; and given that informal learning provides a huge part of workplace learning, we clearly are underestimating the reach and significance of mobile learning if all the term conjures up for us is the image of formal learning modules viewed on a mobile device. In the same way, the words “libraries” and “classrooms” are beginning to overlap and expand in interesting ways as libraries feature stimulating state-of-the-art learning spaces that are at times indistinguishable from other state-of-the-art learning spaces. The words “librarian” and “teacher” and “learning facilitator” are also beginning to represent interesting and nuanced variations on professions with increasingly overlapping functions and goals. This is not meant to suggest that our training-teaching-learning nomenclature is completely obsolete. Quite to the contrary, it connects us to very deep roots from which incredibly dynamic branches are developing. And one of our many challenges is to not only observe and acknowledge the growth of those branches, but to help shape them in small and large ways—just as Maurice did, in the moment, during our latest T is for Training conversation. N.B. : An archived recording of today’s episode of T is for Training remains available online through the T is for Training site. Conversations aren’t what they used to be. They are so much more—at least among the members of the various extended and extensive communities of learning to which I belong. 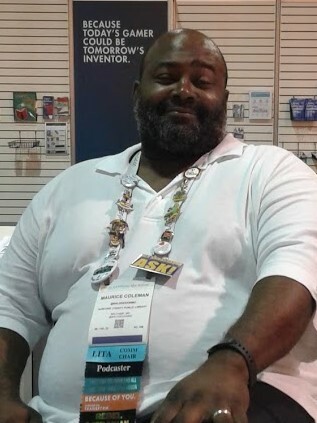 Having documented a conversation-by-blog that started earlier this afternoon, I find myself continuing to reflect on a second, entirely different, but no less dynamic conversation that began unfolding at roughly the same time within the T is for Training community that Harford County (MD) Public Library Technical Trainer Maurice Coleman so lovingly and effectively nurtures through his biweekly podcasts. The platform for T is for Training conversations is Talkshoe.com, a free service that allows talented facilitators to recreate the feel of a dynamic radio talk show via the Internet. 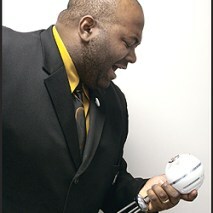 A host such as Maurice creates a community of interest—in this case, colleagues connected by their interest and involvement in library training-teaching-learning opportunities; facilitates the conversations; and, most importantly, creates the sense of an open community that draws in new members and temporary participants in a variety of creative ways. There are sessions where only one or two people are involved; the session today, at one point, had nine obvious on-the-call participants. But what strikes me in retrospect is that there was a tenth person—Heather Plett—who actively contributed to the conversation without even knowing it was underway. Because her recently-published blog article “What It Means to ‘Hold Space’ for People, Plus Eight Tips on How to Do It Well” and its companion piece “How to Hold Space for Yourself First” inspired our conversation, there really never was a moment when Heather’s presence in the conversation wasn’t palpable. The first article begins with her recollections of how a “gifted palliative care nurse” helped Plett and other members of Plett’s family cope with her mother’s impending death by “holding space” for them. Holding space, she explains, “means that we are willing to walk alongside another person in whatever journey they’re on without judging them, making them feel inadequate, trying to fix them, or trying to impact the outcome. 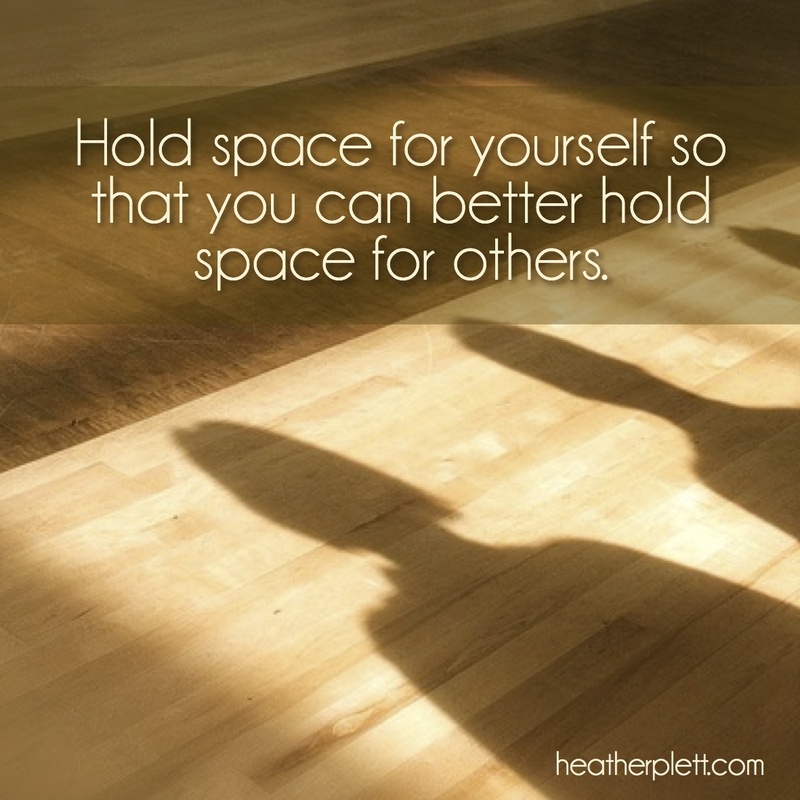 When we hold space for other people, we open our hearts, offer unconditional support, and let go of judgment and control.” As a teacher, facilitator, and coach, Plett saw and documented the parallels between holding space in the situation she was facing and holding space in learning situations. And because Plett shared those lessons learned with all of us who read that piece, we were drawn into a conversation that started with her voice (as captured in the article), extended into our own hour-long extension, continues with further asynchronous but clearly interconnected interactions including the writing and posting of the article you are reading now, and will continue at least for a while in a rhizomatically-expanding way through any comments posted in response to this posting, any blog posts colleagues write and link back to this one, any tweets or Facebook comments we create to share and further extend the conversation, and other face-to-face or online interactions that build upon and circle back to what Plett started and the T is for Training discussion continued. The fact that, as I write this, there are already 252 responses posted on the page that holds her original article demonstrates the nature of this conversation: it’s on her blog; it spread today to the T is for Training community; it clearly is inspiring contributions via other bloggers’ postings; and is, no doubt, inspiring plenty of other face-to-face and online extensions—thereby creating a conversation so large and expansive that no single contributor can possibly be aware of every other contributor’s additions. It’s as if Plett lured several thousand people into a huge room, gave all of us enough to get us started, and then stepped back to watch and let her baby grow. It is clear that many of us, through those responses posted on her blog, are directly engaged in the conversation with her. It’s also obvious that some of us are engaged even though she isn’t yet aware that we are diving into this deeply rich and rewarding learning pool with her. Most importantly, it’s obvious that our approach to “conversations”—regardless of geographic barriers and because of our willingness to engage in conversational “moments” that will extend over a very long period of time—is changing the nature of those conversations in wonderfully dynamic ways—a lesson well worth sharing with those whose learning efforts we facilitate in our roles as trainer-teacher-learners willing to engage in holding space. Clark Quinn, a colleague through #lrnchat and ATD (the Association for Talent Development), is certainly not the first to say that he is mad as hell and to urge us to not take it anymore. Nor is he the first to suggest that the nomenclature we use to describe what we do in what is generically called “training” is far from adequate, or that our event-based approach to learning is often a frustratingly ineffective approach to making a different in a learner’s life, or that it is time for a new manifesto to set things right. 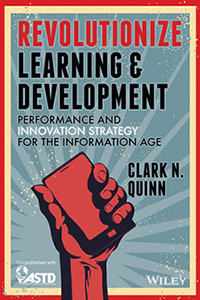 But Quinn, in his well-researched, highly- and finely-nuanced book Revolutionize Learning & Development: Performance and Innovation Strategy for the Information Age, does far more than recycle old rants. He effectively draws upon the experience he and his colleagues bring to our workplace training-teaching-learning efforts. He builds upon research-based evidence to show where we continue to go wrong in workplace learning and performance (staff training) efforts and how we might change our course(s) to the benefit of those we serve. And he adds to the dynamic literature of training-teaching-learning-doing in a way that encourages reflection as well as action. The issues he tackles are numerous—not the least of them being the inadequacy of the jargon we use. As Lori Reed and I noted in our own book (Workplace Learning & Leadership; ALA Editions, 2011), there are numerous terms used to describe the training-teaching-learning field and those playing in that field; each term, furthermore, overtly as well as subliminally affects the way we approach and engage in our work—which, of course, is why it’s important that we eventually find the right vocabulary: terms that not only accurately and concisely describe what we do, but also guide us toward successful efforts supporting our workplace colleagues and those they ultimately serve. One of the most visible and well-orchestrated recent attempts to update our vocabulary came a year ago when the American Society for Training & Development rebranded itself as the Association for Talent Development for many reasons—not the least of which was a desire to emphasize the result (developing the workplace “talent” of employees) rather than the process (i.e., training/learning). Quinn, whose book was co-published by Wiley and ASTD one month before the ASTD-to-ATD transformation was announced, suggests that we move from our industry jargon of “learning and development (L&D)” to “performance and development (P&D)” for the same reason: to place a focus on the results of our efforts (employee performance in the workplace) rather than the process leading to those results. Neither approach strikes me as completely satisfactory, for “talent development” as an industry descriptor then suggests the less-than-perfect and far-from-inspiring term “talent developer” (instead of “trainer” or “learning facilitator” or any other equally-inadequate term we might also incorporate into our lexicon to guide us in our work). I continue, in my own work, to use the less-than-perfect hyphenate “trainer-teacher-learner” to capture what I believe is a trinity of terms summarizing important facets of our work—but I quickly acknowledge that it misses one of the key attributes Quinn calls to our attention: a focus on what learners do with what they are learning. If workplace learning and performance is—as so many of us believe—a transformative process that should lead to positive action, then the words we use to describe it should also reflect and acknowledge the inherent goals driving the process. When we move beyond the nomenclature and into the real focus of the first section of the book (“Status Quo”), we find that the author has taken a playful yet devastating approach to describing the state of our industry. The subheadings to Chapter 3 (“Our Industry”) seem to be the result of an effective game of free-association—one that helps make the case for joining the revolution: “inadequate”; “event-ful” (in the negative sense that learning opportunities are treated as isolated events rather than part of a larger learning process that produces positive results for learners, their organizations, and the customers/clients/patrons they ultimately serve); “disengaging”; “antisocial” (in the sense that they underutilize the social media tools that are so important a part of our workplace efforts); “rigid”; “mismeasured” (in the sense that evaluations don’t measure meaningful results from training-teaching-learning efforts); and “no credibility,” among others. If that isn’t enough to make us grab our pitchforks and burning brooms so we can storm and burn the antiquated castles of training/L&D/P&D, perhaps we need to check to see if any of us still has a pulse. The book (and Quinn), of course, offer us far more than a pessimistic document that would leave us wanting to slit our training-teaching-learning wrists. His second section explores research-based evidence on how our brains react to and absorb learning opportunities—in contrast to what many of our current efforts actually provide—and reminds us that informal learning opportunities, the use of communities of learning, the use of existing resources rather than always seeking to design new workshops and courses, and recognition of the benefits of mobile learning as part of our learning landscape stand to produce far better results than we currently produce. 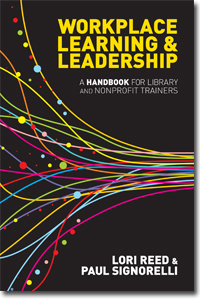 His section on aligning learning with workplace needs provides a great example of what he is attempting to foster: by incorporating case studies and reflections by several of his colleagues (including Jane Bozarth, Allison Rossett, and Marc Rosenberg—people familiar to us through our involvement with ATD, #lrnchat, the eLearning Guild, and other first-rate learning communities), he reminds us that even a book like Revolutionize Learning & Development can serve as a gathering place for colleagues to meet, talk, learn, reflect, and develop effective plans of action. The final section (focusing on a “path forward”) works well with a short set of appendices to help us reflect on core competencies and practices that better position us to be part of a process of change within our workplace training-teaching-learning (and doing) efforts. He leaves us with an open invitation to join the discussion through RevolutionizeLnD.com; the “Serious eLearning Manifesto” that he, Michael Allen, Julie Dirksen, and Will Thalheimer have posted; and his ongoing series of posts in his “Learnlets” blog. And there are, of course, the continuing opportunities to be part of the conversation and action through participation in #lrnchat (Thursdays, 8:30 pm ET/5:30 pm PT), T is for Training, ATD, and our numerous other communities of learning and action.